UNO is Nebraska's metropolitan university — a university with strong academic values and significant relationships with our community that transforms and improves life. Following graduation, graduates of the University of Nebraska Omaha continue to impact their communities. 89% of students graduating from the University of Nebraska at Omaha between 2016 and 2017 live within the region. 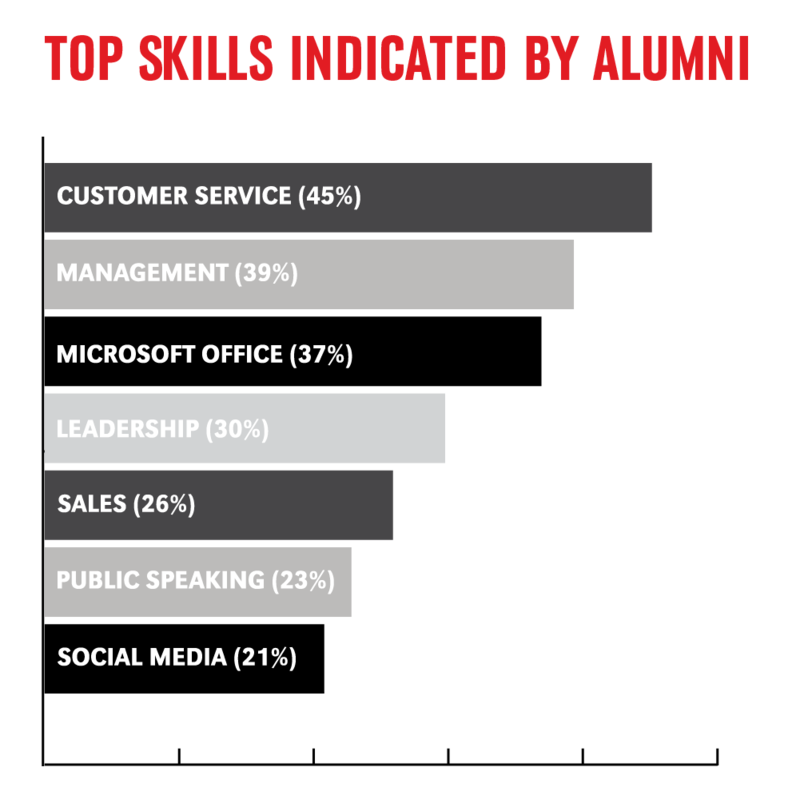 This chart highlights the top skills indicated on online profiles of UNO graduates from the class of 2016-17. UNO students are surveyed regarding their post-graduation plans at the time of application for graduation. The chart below shows the plans for the class of 2016-17. This map displays the top US locations of UNO graduates from 1986-2017. The larger the bubble, the more alumni that live in that location. 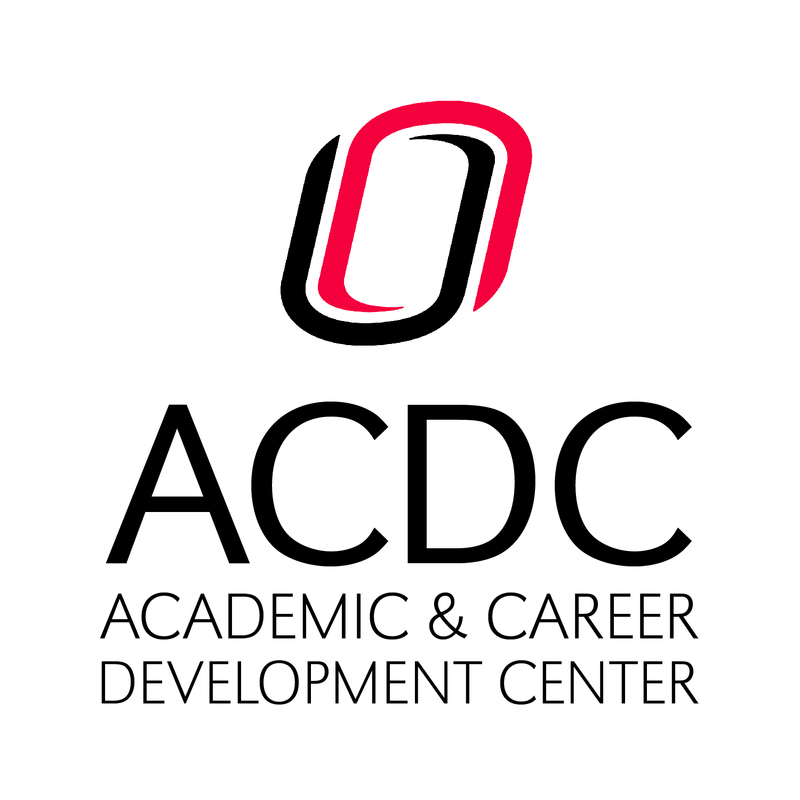 The Academic & Career Development Center provides career advising to all UNO students and alumni.